Welcoming Back Nityananda das to Toronto this Weekend! ~ The Toronto Hare Krishna Temple! Welcoming Back Nityananda das to Toronto this Weekend! Toronto's Hare Krishna Centre is excited to announce that HG Nityananda das will be making another visit to our wonderful community this weekend! For those who may recall, Nityananda das visited our temple for the first time a few weeks ago and electrified our temple with an incredible discourse during our Sunday Feast celebrations. Nityananda das serves as the Chairperson for the North American GBC Executive Team, which oversees all ISKCON temples across North America. 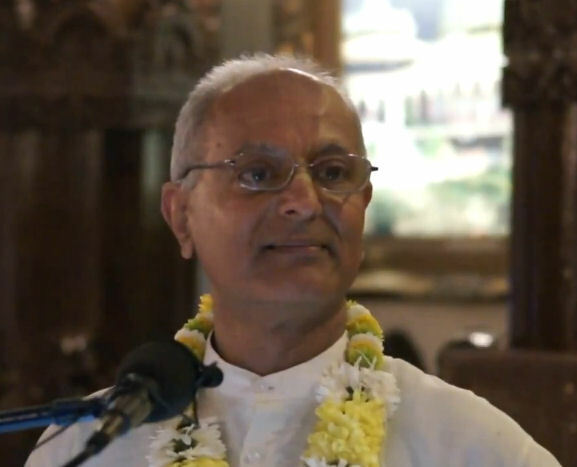 He also serves as GBC of five states in the United States of America and also serves as Temple President of the flourishing Dallas Hare Krishna Centre (ISKCON Dallas). A warm invitation goes out to one and all to come out this weekend to hear from Nityananda prabhu, a very inspirational speaker who will surely leave you asking for more!